There are many types of bipolar medications used to treat bipolar disorder which is a type of mood disorder that is characterized by depression, manic episodes and sometimes accompanied with severe complications like hallucination and delusion. Although, the disorder cannot be completely cured, treatment can be administered to patients. It helps in providing relief from the problems and long-term management and prevention of the manic phases. 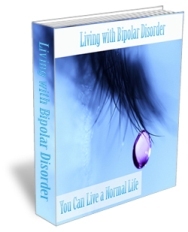 Doctors prescribe various types of bipolar medications for the disorder. The main types consist of mood stabilizers, anti-depressants and anti-psychotics. Many patients will go into a manic phase triggered by an anti-depressant. The prescribing physician will be monitoring the patient for this condition. Apart from these medicines, patients may be prescribed drugs that provide relief from insomnia, anxiety or restlessness, triggered by the disorder. The 3 main types of bipolar medicines affect the neurotransmitters in the brain, which alter the functioning of the brain cells and are effective in controlling the acute manic phases and depressive episodes experienced by the patients. Mood stabilizers like lithium, sodium valproate and carbamazepine are used to curb acute manic episodes and they also help prevent the occurrence of the manic phases. Depression can also be effectively controlled with these medicines. Lamotrigine, another mood stabilizer, can be effective during a depressed phase of bipolar disorder. Apart from these, medicines like Gabapentin and Topiramate can also help patients. The bipolar medications are incomplete without the use of antidepressants, which are generally administered along with the mood stabilizers. Bupropion, Paroxetine, Sertraline, Venlafaxine etc. are some of the common medicines used as anti-depressants. Antipsychotic medicines are used to control hallucinations or delusions, which are often experienced by patients in the acute stage of the disorder. Some of them are Olanzapine, Quetiapine, Clozapine etc. They can also be administered at early stages of the disorder to control such problems as insomnia and anxiety. Medication for bipolar disorder should not be discontinued without permission from the doctor. Since most of the medicines have preventive qualities that stop the occurrence of manic episodes, they should be continued for long periods of time. However, special care must be taken while prescribing medicines for children, pregnant women and elderly people diagnosed with the disorder. The bipolar medicines taken by children should be closely monitored by parents and other people taking care of the child. Elderly people sometimes, may have other diseases or may be sensitive to certain medicines. So it becomes absolutely necessary to thoroughly conduct tests before administering any kind of medicine for them. Similarly pregnant women need to take medicines carefully since it’s likely to have a direct effect on the unborn child. Since the bipolar disorder cannot be cured completely with bipolar medications, psychotherapy is often used along with alternative treatment methods such as meditation, light and dark therapy etc.